Amsterdam, 21 January 2019 – Rotterdam lost to Antwerp for the favors of the British chemical concern INEOS. INEOS decided to invest 3 billion Euros (300 million Euros more than expected) in two new petrochemical plants in the Port of Antwerp. INEOS already owns one factory in Antwerp. The Belgian port city of Antwerp celebrates this investment as the largest petrochemical investment of the last twenty years, and the creation of 400 extra jobs. However, for climate change and plastic soup this isn’t a celebration, at all. For 1.7 billion Euros, one the largest ethane crackers in the world will be build near Lillo, a small town northeast of Antwerp. An ethane cracker is a petrochemical plant, which breaks ethane down into ethylene. And ethylene is processed into plastic pellets, the basic compound used to make a variety of plastic products. In addition to the ethane cracker, a propane dehydrogenation (PDH) plant, to convert propane gas into propylene is build. And propylene is another basic compound for the production of plastic. 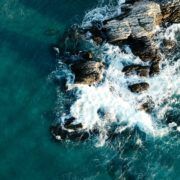 According to Petrochemicals Europe, 58% of the ethane and 55% of the propylene produced in Europe was used for the production of plastic in 2016. 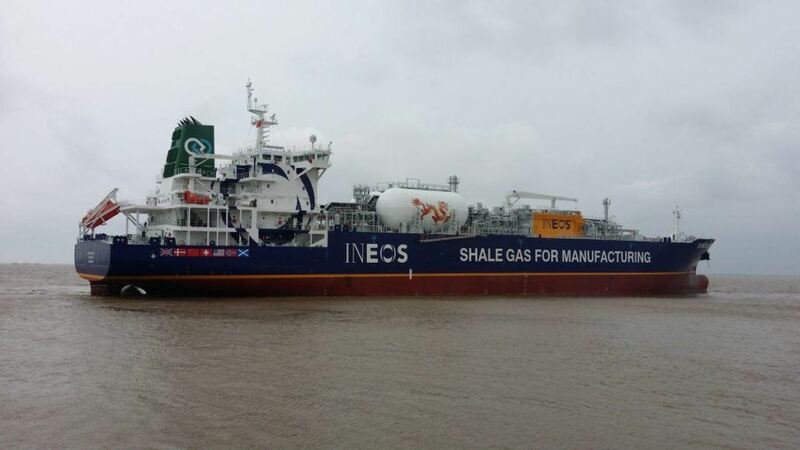 INEOS uses ethane derived from American shale gas. 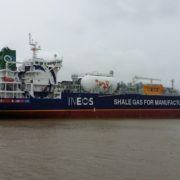 The company benefits of low-cost shale gas and uses multi gas carriers for the transatlantic transport. These ships can carry up to 800,000 tons of gas in one haul. INEOS choice for Antwerp is said to be partly due to the stricter Dutch climate policies on CO2 emissions (the 49% reduction in CO2 emissions by 2030). This could also explain why the Austrian Borealis Group rather wants to invest 1 billion Euros in Antwerp and not in Rotterdam Botlek. 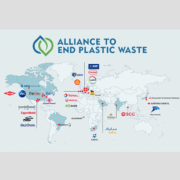 Recent Plastic Soup Foundation research revealed that the Western Scheldt estuary (de Westerschelde) is heavily polluted with plastic pellets and the pollution increased in the vicinity of the Port of Antwerp.